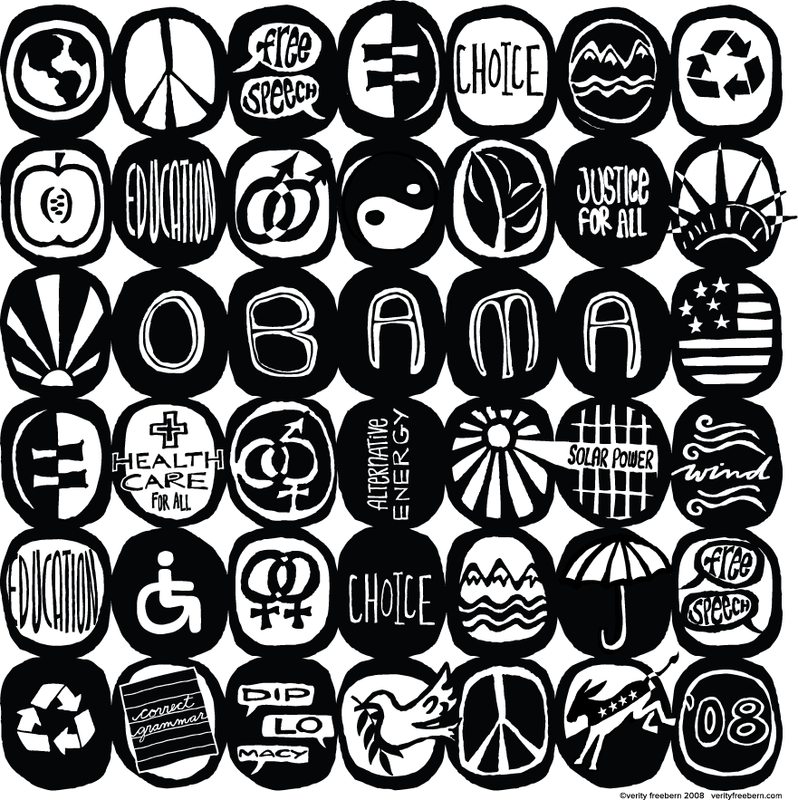 Final Obama pattern (I think). You may have noticed that I’ve used this same pattern for three days now, which technically goes against my rules, but I’ve spent so much time on it that I am justifying the rule-bending. And really, since it’s actually a big pattern made up of many, many small patterns, I’m feeling pretty good about my digression. Henry preferred the b/w version, so I’m back to that one. I like the color version too, but agree that this makes a stronger image. This entry was posted on June 20, 2008 at 12:52 pm and is filed under abstract, bw. You can follow any responses to this entry through the RSS 2.0 feed. You can leave a response, or trackback from your own site. I agree with Henry… Black and white is best and this third version is too. I want t-shirts – adult and kid-sized, please.